The Israel Culture Center operates a variety of programs, including an ulpan and various clubs related to Israeli culture, such as an Israeli cinema club. Its major youth activities are sponsorship of an adapted version of Israeli scouting for local Jewish adolescents and Maccabee sports clubs. Additionally, it offers its own Taglit and MASA programs. The ICC also subsidizes lectures by Israeli professors at local universities, usually on topics related to Israel, such as the Middle East conflict, the Israel economic system, or comparable subjects. In addition to familiarizing students and faculty with Israel and the Middle East, these events also attract Jewish students and faculty members who remain fearful of openly identifying as Jews, but will attend public lectures and may ask questions or converse with the speaker after the presentation. The ICC attempts to organize follow-up sessions that will attract lecture attendees and encour-age them to participate in additional Israel-related programs. Nelly Shulman, right, is a second secretary accredited to the Embassy of Israel in Kyiv and the Consul of Israel in Dnipropetrovsk. 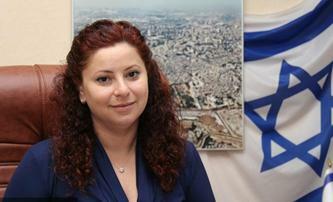 She also directs the Israel Culture Center in Dnipropetrovsk. The Israel Culture Center is centrally located in the city and invites outside Jewish organizations to use its large multi-purpose room for meetings and social activities. 23. The sister-city relationship between the Boston and Dnipropetrovsk Jewish communities, various details of which are noted elsewhere in this section, was initiated in 1992 and today is the most comprehensive of any “kehilla” project connecting North American and post-Soviet Jewish population centers. It involves both Jewish and non-sectarian entities in each city, although most of the latter appear to have been promoted by Boston-area Jews. The relationship also includes some projects involving Haifa, Boston’s partner city in Israel. Combined Jewish Philanthropies of Greater Boston (the Boston Jewish federation) provides essential subsidies to Beit Baruch, the Dnipropetrovsk Jewish day school, and certain other programs. Education components of the relationship include consultations in special education to the special needs program housed at Beit Chana and methodology for teaching English as a second language at School #144. Exchanges of teachers take place frequently, and Boston-area Jewish teens travel to Dnipropetrovsk for a winter camp with local Jewish adolescents. Occasionally, the teen exchange also involves youngsters from Haifa as well. A medical assistance program provides critical expertise in geriatric care, as well as advice, training, and advanced technology in pediatrics and obstetrics/gynecology to Dnipropetrovsk clinics and hospitals. Boston Action for Post-Soviet Jewry, although an independent entity, initiated its Adopt-a-Bubbe program in association with the sister-city effort. Founded in 1653 at the confluence of the Udy, Lopan, and Kharkiv rivers, Kharkiv today is a city of 1.4 million people, the second largest municipality in Ukraine. Capital of Ukraine from 1921 to 1934, it remains a center of industry, culture, and higher edu-cation. Its industrial core is based on armaments and complex machinery, some of which has been sold in controversial arms deals to rogue states. Notwithstanding the relative sophistication of a portion of its economic base, however, the larger economy of Kharkiv and the surrounding area is floundering, a result of general Ukrainian economic conditions, poor governance, and a failure of local officials to embrace private business initiatives. Unemployment is high, and the general mood of Kharkiv residents appears sour. 24. The Jewish population of Kharkiv probably is between 15,000 and 30,000 according to the Israeli Law of Return, although the writer has heard both higher and lower estimates. Jews are prominent in almost every sphere of Kharkiv life, including government, business and industry, science and technology, education, and culture; most openly identify as Jews and are friendly to Jewish organizations. However, as is the case in most post-Soviet large cities, only a small number of local Jews appear to find any existing Jewish institutions of interest to them. Participation in Jewish activity is low. 25. Enrollment in the Chabad Jewish day school (School #170) continues to fall, declining from its peak of 502 in 2003 to 352 in 2010-2011 and 303 in 2011-2012. According to Grigory Shoichet, the veteran and respected principal of the school, the decrease in school census is due to emigration (to Israel, Germany, and the Nether-lands), a sharply lower birthrate in the turbulent 1990's and the earliest years of the last decade, and a decision by some parents to transfer their children to other schools in order to avoid long bus rides to the somewhat remotely located School #170 buildings. The general school is split between two facilities: a renovated former preschool structure that now accommodates the Chabad preschool and grades one through four, and the upper two floors of a general public school that are home to grades five through eleven. Also included in the school census are youngsters enrolled in more intensive religious pro-grams, i.e., a small machon for girls in grades five through 11 that meets in the choral synagogue and a cheder and yeshiva katana for boys that are located in a partially renovated former synagogue. 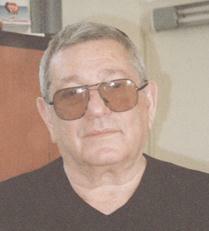 Grigory Shoichet is among the most respected Jewish day school principals in the post-Soviet states. Long past normal retirement age, he continues to preside over a school declining in enrollment due to factors beyond his control. Student families are unable to assist the school in any meaningful way, commented Mr. Shoichet, observing that unemployment among parents is between 30 and 40 percent. However, the Board of Trustees of the local Chabad community purchased 15 new computers for the school, thus eliminating the most significant weakness in the school curriculum, computer technology. Despite the serious economic problems faced by many School #170 families, Mr. Shoichet said, the school is academically sound. Its pupils traditionally have performed well in interschool academic competitions, particularly in mathematics, biology, chemistry, and physics. Recently, he added, they also have been successful in Hebrew language and Bible competitions. The addition of new computer technology in the school should boost student scores in that field of study as well. The Jewish studies curriculum consists of six class hours each week - three in Hebrew language, two in Jewish tradition, and one in Jewish history - in elementary and middle school, stated Mr. Shoichet. In the upper grades, the Jewish studies component increases to eight class periods every week. Additionally, Jewish content is significant in both art and music classes. Using classroom space made available by declining enrollment, three small Jewish museums have been developed in upper school premises; these deal with Jewish history, the Holocaust in Ukraine, synagogue architecture, and other Jewish subjects. School #170 does not have a conventional gymnasium or sports hall. However, Mr. Shoichet, a former boxing champion of Ukraine, teaches boxing to boys and karate to girls. Archery and certain other sports also are available on a limited basis. The school rents sports facilities at a nearby medical school. 26. The writer was unable to meet with Rabbi Levi Raices, who directs a yeshiva katana for approximately 40 boys in fifth through eleventh grades. The educational program is that of a mesivta, i.e., a curriculum that includes full courses in both religious and secular studies. Most boys are from poor single-parent families, Rabbi Raices acknowledged in a prior interview, and are attracted to the yeshiva by stipends offered to all students. The single parents also find the extended-day curriculum appealing. The yeshiva katana is located in the building of a former synagogue that has been renovated to serve as a school. This structure also accommodates a heder, a school for approximately 15 boys of pre-Bar Mitzvah age who are sons of rabbis in the city. 27. The Kharkiv Chabad machon currently enrolls 40 girls in grades five through eleven. 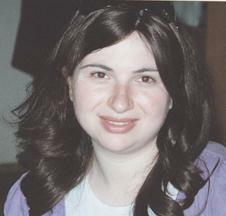 Only five girls are daughters of rabbis, said Miriam Yakimenko, principal of the program. The remaining 35 are recruited from the School #170 lower school and are attracted to the machon by its small classes, extended-day schedule, and supportive atmosphere, Ms. Yakimenko continued. Tuition is 100 hryvnia [about US$12] per month, but is adjusted to accommodate different income levels of families - and some girls are enrolled without charge. Machon Principal Miriam Yakimenko is a graduate of School #170. Unlike the Jewish Agency, which charges fees for its ulpan classes, the ICC ulpan is cost-free to participants. However, Jewish Agency ulpans include Jewish identity components and are viewed by most observers as providing a superior level of Hebrew-language instruction. Similarly, the Nativ MASA program, which offers a selection of study programs at Ariel College in Samaria, is almost cost-free.